Porcelain veneers can improve the malocclusion of teeth and their appearance. 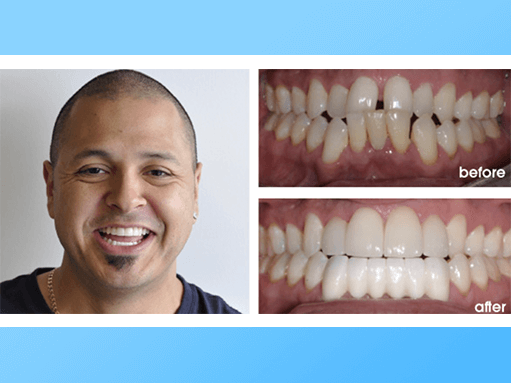 We understand that many adult patients are opposed to having conventional braces; these patients feel that having to wear braces for several years isn’t worth the straight teeth they produce. Many times, though, people only have minor problems with the appearance of their smiles and these simple problems can be corrected easily. You can get straight, beautiful teeth with just a couple of visits. It’s not uncommon to not know what instant orthodontics is and what kind of treatment it entails. 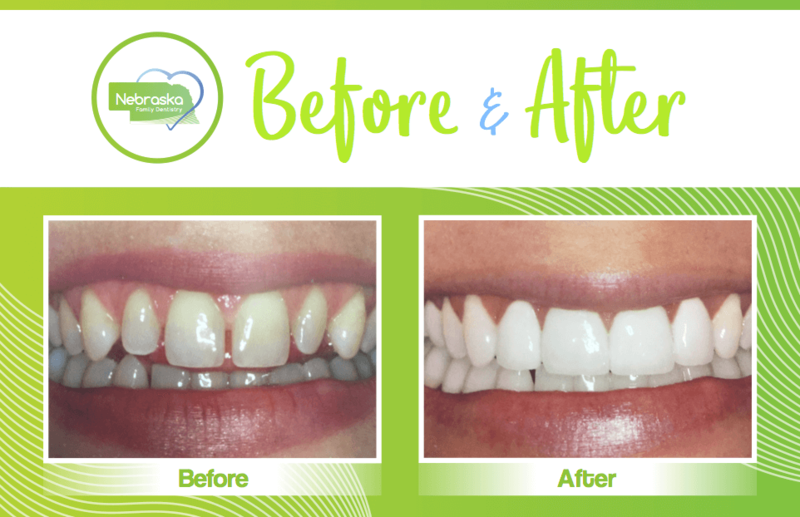 Here at Nebraska Family Dentistry in Lincoln, Ne, we can explain thoroughly what instant orthodontics means to cosmetic dentistry. The best dental veneer candidates are people who suffer from minor aesthetic flaws in their smile. Dental veneer candidates are patients who are in otherwise good dental health because porcelain veneers are only a cosmetic solution. It is important for dental veneer candidates to realize that they should have realistic expectations for dental veneers and what they can achieve with them. The porcelain veneers procedure is irreversible, so dental veneer candidates must make sure that they have a solid understanding of what to expect. 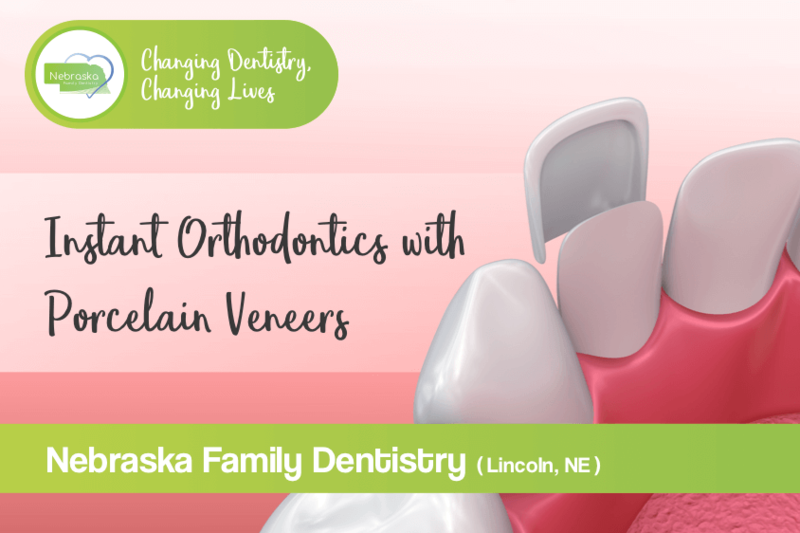 Here at Nebraska Family Dentistry, the porcelain veneer procedure for dental veneer candidates involves removing a small amount of tooth structure from the front of the tooth. This is less than half of a millimeter and it is done to accommodate the veneer itself. 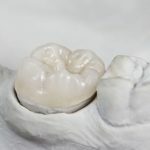 Once the tooth is prepped in this way, an impression is made of the tooth, which will be used to craft the new porcelain veneer. In instant orthodontics using porcelain veneers, dental porcelain is bonded to your teeth.These are thin shells of porcelain, made to look just like your natural teeth. This not only straightens your teeth, but it makes your teeth much stronger and whiter. The most common treatment in instant orthodontics is porcelain veneers. Once the porcelain veneer is created, it can be affixed into place. Before it is finally adhered, your dentist will make final adjustments. 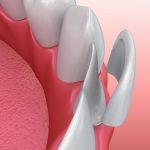 Porcelain veneers are a great fix to many cosmetic solutions, but dental veneer candidates should know that they are not the only solution for an effective smile design. If a patient has major issues with tooth misalignment, they would be better off undergoing actual orthodontic care. This improves the alignment in more than just an aesthetic manner. Dental veneer candidates can also consider other options to cosmetic issues, such as teeth whitening, dental bonding, and dental crowns. These can help with problems such as tooth damage and dental stains. 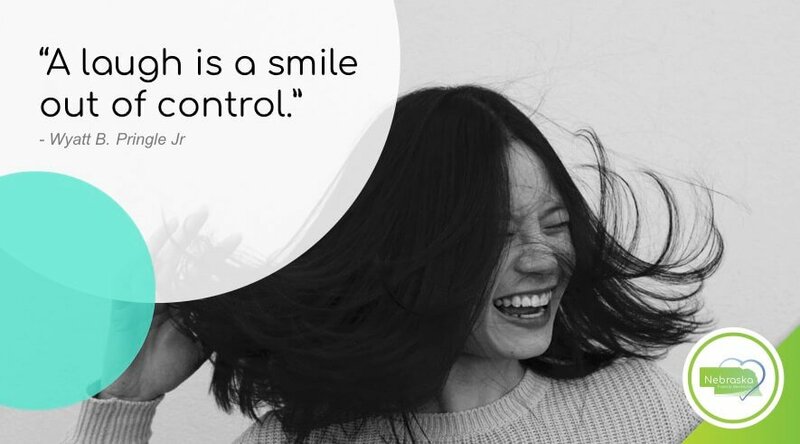 Here at Nebraska Family Dentistry, we are more than happy to discuss all of your options with you and to see if you are indeed a good dental veneer candidate. 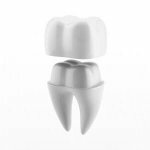 Porcelain crowns are used to improve smiles on a smaller scale. While porcelain veneers can be used on all of your teeth, porcelain crowns are used to improve simply a few teeth at a time. They are mainly used to strengthen weak, decaying, or cracked teeth. Porcelain crowns can be used to help strengthen your smile by preventing further shifting of the weak teeth in your mouth. After traditional braces are removed, teeth tend to shift. Differently, instant orthodontics is a permanent solution to crooked teeth and after treatment, teeth almost never shift. 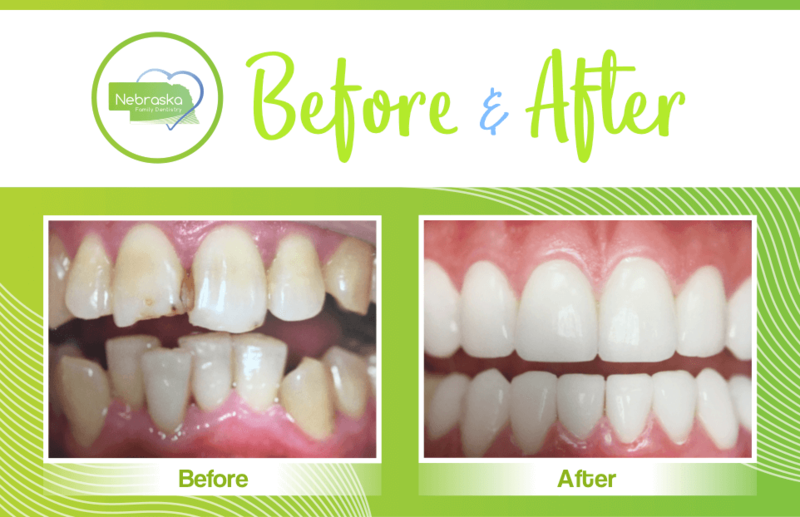 After your new restorations are placed, your smile is straight and will be beautiful for many years. You too, can have a straight and strong smile with instant orthodontics. Please contact our cosmetic dentistry office serving Lincoln, Ne for a consultation about your smile. 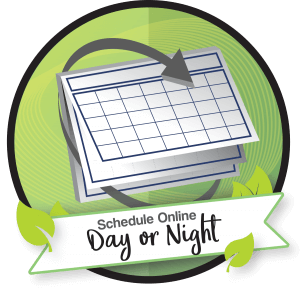 Our Nebraska Family Dentistry dentists will discuss your smile makeover goals and form a plan to fit your specific needs and wants. Call our office to make an appointment. You too, can have a straight and strong smile with instant orthodontics.